Applications are now open for the OCV Summer Fellowship Program 2019 in USA. Our Climate Voices (OCV) is a trailblazing digital media organization dedicated to humanizing the climate disaster through storytelling, centering the voices of frontline communities and those most vulnerable to the impacts of climate change, and connecting people with ways to support climate solution-making work that impacted communities are already doing. OCV believes in the power of storytelling to both amplify and bring attention to the ways in which climate change exacerbates inequality as well as to excite people to support community-based climate action. They are upending the historic de-prioritization of the voices, perspectives, and solutions of frontline communities, women, low-income communities, LGBTQIA+ communities, indigenous communities, and people of color in the climate sphere. 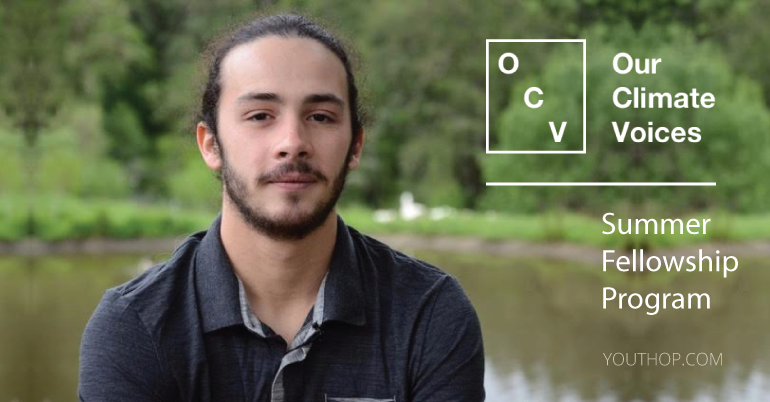 The OCV team members are innovative and passionate young people who believe in the power of youth organizing. They are committed to using their talents to further impactful and critically-minded work. The OCV fellowships are a unique opportunity for applicants to join OCV’s team. The fellowship will allow them to be fully immersed in their storytelling mission, work with and be mentored by one of OCV’s core team members, and give them a chance to develop their arts activism and storytelling portfolio. Unfortunately, OCV’s fellowships are unpaid at this time, but they can offer up to $50 in work-related reimbursements each month to ensure that costs associated with the fellowship are covered. They will also work with schools to provide academic credit, if desired. Fellows will work remotely, and are asked to contribute 10-15 hours a week. By the end of the fellowship, each Fellow will spearhead an OCV story from start to finish: identify a local climate justice leader in the community where they live, interview that climate justice leader, lead the editing process and publication on the OCV platform, and lead all social media and outreach for that story. The fellowship will allow applicant’s to be fully immersed in their storytelling mission, work with and be mentored by one of OCV’s core team members, and give them a chance to develop their arts activism and storytelling portfolio. OCV can offer up to $50 in work-related reimbursements each month to ensure that costs associated with the fellowship are covered. OCV will also work with schools to provide academic credit, if desired. Provide editorial support for final pieces. Create a diverse portfolio of graphics including flyers, advertisements, and calls to action. LGBTQIA+ people, people on the front lines of climate change, indigenous people, people of color, people from low-income communities, and women are especially encouraged to apply for the fellowship.